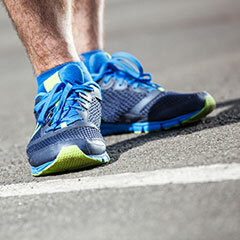 Home > Why a Podiatrist? Podiatrists are medically trained professionals whom have expertise in managing problems of the foot and lower limb. Referral for bulk-billed diagnostic radiography and ultrasound imaging where further investigation is required. Foot care and health is especially important with Diabetes. It is very important for persons experiencing Diabetes Mellitus to visit a Podiatrist periodically for foot health screens and diabetic foot assessment, to ensure optimum foot health and to reduce the risk of complications developing, including amputation. 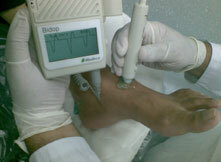 Vascular Assessment utilising in-house Doppler Ultrasound and Photoplethysmography equipment and measurement of Systolic Toe Blood Pressures.